The brackets south crew proudly present another wonderful night of superb music, delicious food and friendly company on top of our beautiful Kincumba Mountain. BYO everything or choose from another great selection of meals served by our lovely hard-working kitchen volunteers. Bring a friend, a smile, a blanket, a torch to light your way and treat yourself to what has to be the cheapest and most family friendly night out on the Coast. Honey & The Bluestones play a mix of classics and party songs, spanning decades of the best music, covering R&B - SOUL - FUNK - BLUES and ROCKABILLY. This Central Coast band is a four piece outfit who proclaim it is all about the GROOVE. H&TB band members have many years of experience between them and know how to inspire a good time for fans of awesome music covering some early Rhythm & Blues, Soul, Funk and Blues to cool, contemporary hits. Listeners hips, heads and feet will be a movin’ and a shakin’. From soft and sultry, to downright swampy and dirgy - it'll all be too cool for school, you'll see! AND all with their very own twist of honey n lemon. 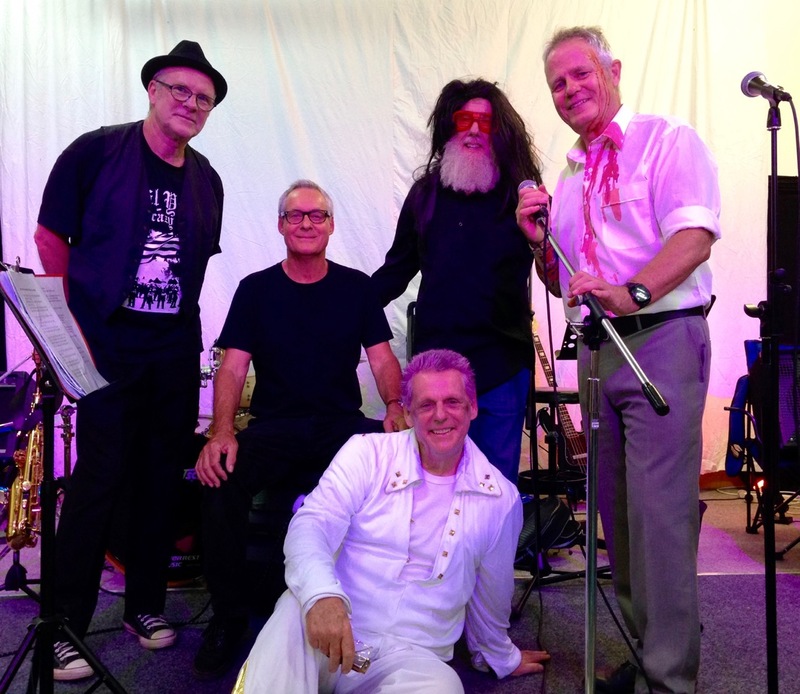 The Aimless Missiles have been playing rock, funk and contemporary music since the early 2000’s all around the Central Coast and Hunter. The band has played at numerous conferences, weddings, parties, clubs and benefits over the years and never fails to get their audiences up on their feet. In their private lives, all the band members are from professional backgrounds but are able to let loose when they get together as The Aimless Missiles. In addition to original material, their sets include a broad list of artists ranging from Steely Dan to Bruno Mars to Midnight Oil. A feature of their versatility is their RockQuiz sets, which are very audience-interactive and lots of fun. Our Brackets South event takes place on top beautiful Kincumba Mountain. The community built venue is a mud brick and natural timber building which sits in a bushland reserve, with panoramic views of Brisbane water and magnificent sunsets over the hills beyond. This venue is the birthplace of Brackets and Jam on the Central Coast and the community considers it as it's spiritual home. The Mountain itself holds a strong significance for our Aboriginal community and has been a long-standing meeting place for Central Coast people. The rock outcrop situated in front of the kiosk forms a natural pool which is said to have once been a sacred birthing place for women. The Mountain now gives birth to many new beginnings as the hub of creative community arts in the southern Central Coast region. FINAL DRUM JAM: Stay late and see the evening out with the spirit of the dance and drum! Enjoy a little more space to dance to the powerful beat of the drum.